Informazione prodotto "Rane Tablecloth Slipmat Mix-Edition white 2 pieces"
From Dr. Suzuki, the creator of the best-selling D-Styles TableCloth comes the versatile TableCloth Mix Edition Slipmat. These slipmats were created especially for mix and routine DJs that need more control and find the Scratch Edition slipmats too slick. 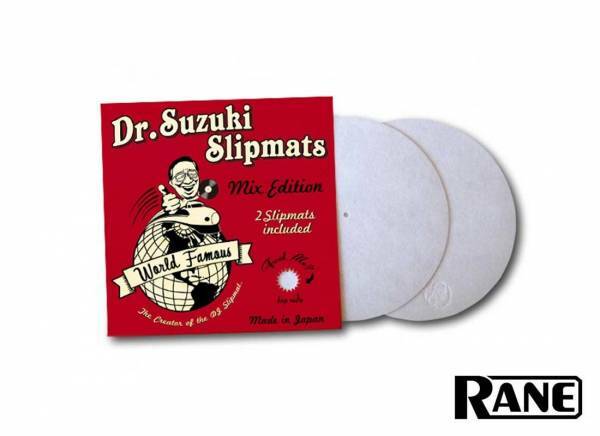 When compared to scratch specific slipmats, the Dr. Suzuki Mix Edition slipmats are noticably thicker and realizzato to resist shock and agitation. These sturdy anti-static mats also minimize the noise made when controlling the record for smoother mixes and performance. It also features a diameter slightly shorter than the record which prevents the slipmat from sticking to the vinyl when switching records. Scratching is still very possible with these mats (though you might want to add a slipsheet under for a looser feel). 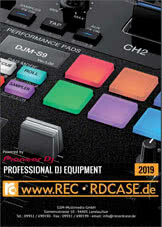 Great for DJing of all genres, routines, battles, and digital control records (Serato, Traktor, etc). • A pair of all-around slipmats, perfect for scratching, mixing, etc. Sii il primo a scrivere una recensione per: "Rane Tablecloth Slipmat Mix-Edition white 2 pieces"